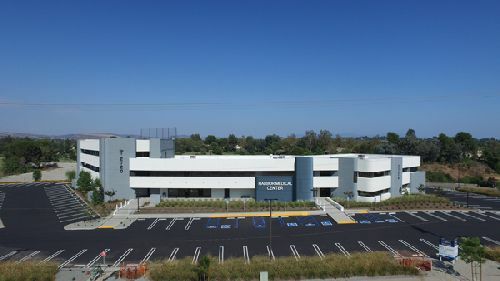 Renovation work has been completed at Harbor Medical Center, a three-story, 35.7k sf medical office building in Fullerton. The property is located at 2720 N. Harbor Blvd, near Bastanchury Rd and St. Jude Medical Center. The building now boasts a new façade with a prominent main entrance, a glass enclosure for the second floor walkway, upgraded signage including monument and building top signage, attractive drought-resistant landscaping, a resurfaced parking lot, and new lighting throughout the property. Tenants enjoy ample surface parking and prime golf course views. Full and partial floors are now available for lease, ranging in size from 1.5k sf to a 15k sf full floor. Harbor Medical Center was purchased in April 2016 by 2720 Partners LLC, who retained Flinn West to handle property management and leasing for the building. They commenced the renovations at the end of 2016. John Wadsworth and Aaron Phillips with Colliers International are the leasing agents for the property.